In the big national team shirt launch by Adidas, they have not forgotten about Mexico; who in the coming weekend are looking to improve their changes of going to the world cup as they take on New Zealand before the return fixture a week later. The new Mexico shirt captures the country's hope and optimism for the tournament and is furthermore inspired by Mexican wrestling. Mexico can boast a proud world cup tradition  and the country has participated no less than 14 times, and has managed to qualify for every world cup since 1994. This time around they do have to get past New Zealand in order to go to Brazil, and in this connection the South Americans have gotten a new national shirt to gather the troops. The new shirt is  naturally  green with some darker green stripes on the front, which are inspired by super heroes. Yes  superheroes. 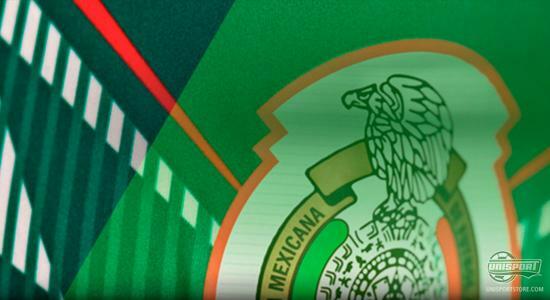 The thought is, that the Mexican players have the same duality as superheroes with two identities. And you can agree on this, as the Mexican players are both creative and unpredictable, yet they are also able to fight all the way through the 90 minutes. On the chest of the shirt you can see a red and white jagged pattern, which is said to display the strength, passion and pride that Mexico posses as a nation. Furthermore, the pattern is inspired by the very colourful and daring costumes that the Mexican wrestlers wear. 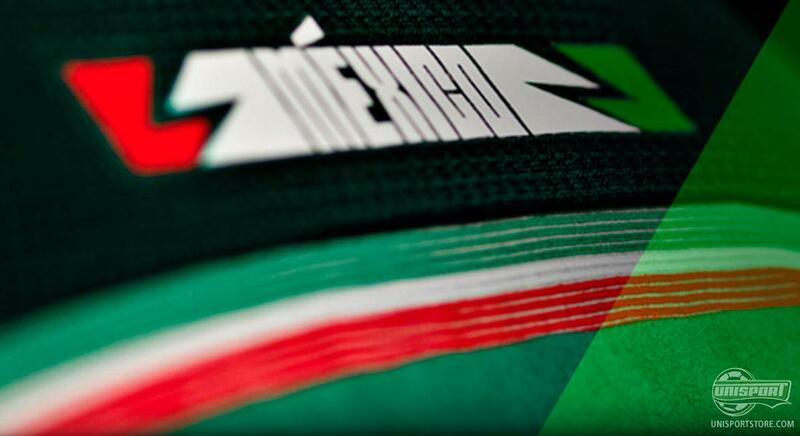 This is also displayed in the collar, where 'Mexico' is written with the same jagged pattern surrounding it. The shirt is made with the Adidas Adizero technology, which ensures that the shirt stays light and dry no matter what conditions you are playing in. Is the new Mexican home shirt to your liking? Then you can grab your own shirt right here, and show your support in their fight towards the world cup. The new Mexico shirt is, true to custom, accompanied by a pair of white shorts and red socks, which completes the tricolore expression that celebrates all three colours of the Mexican flag  and now only time will tell if Chicharito, Dos Santos and Co. can beat the Kiwies from New Zealand and book a ticket fro Brazil. At least their equipment is sorted for now.